A very groovy phone concept imported from Europe: originally designed by Ericsson in Sweden, manufactured and distributed in the U.S. by North Electric. These were made in numerous colors, in both dial and pushbutton models. 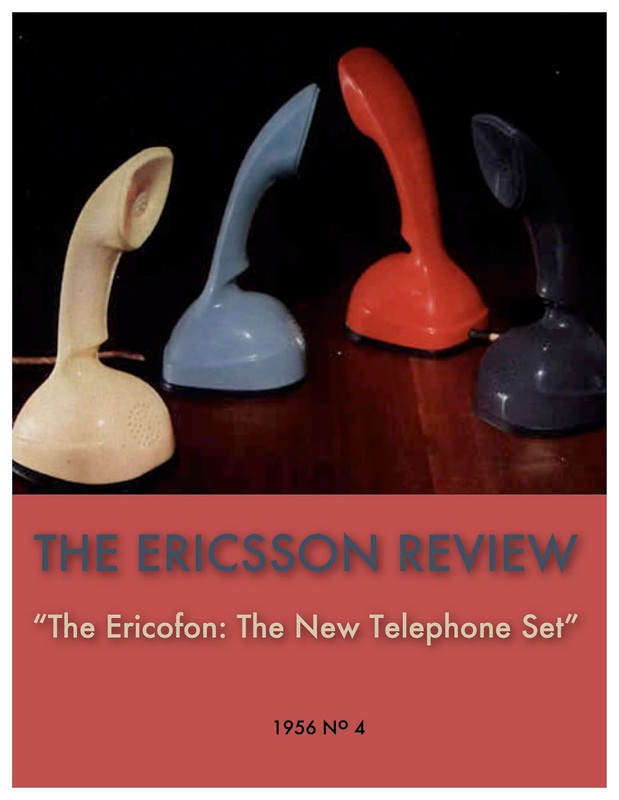 The Ericofon was designed in the late 1940s by a design team including Gösta Thames, Ralph Lysell, and Hugo Blomberg. The two major components of the telephone, the handset and the dial, are combined in a single unit. This one-piece design anticipated the evolution of the typical cordless phone and cell phone by several decades. Serial production began in 1954. 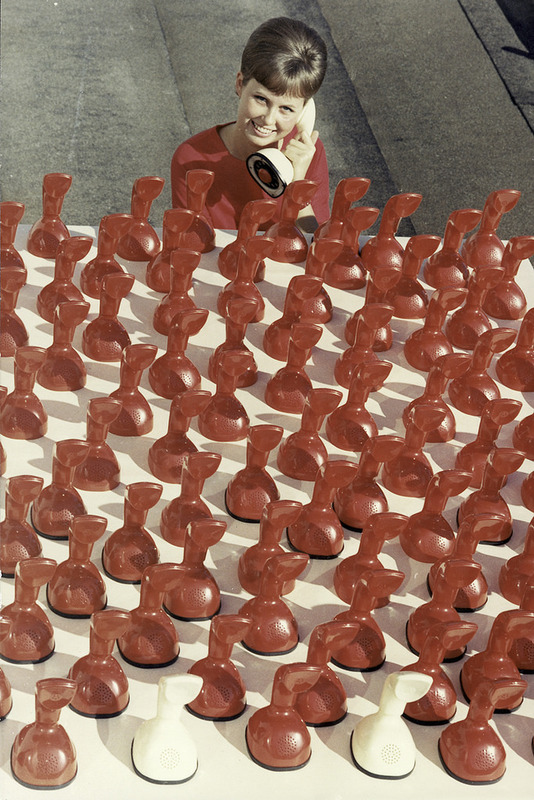 Early models were sold only to institutions, but in 1956 production for the open market began in Europe and Australia. As the Bell System did not permit the operation of third-party equipment on their network, the Ericofon could only be used by independent telephone companies in the United States. 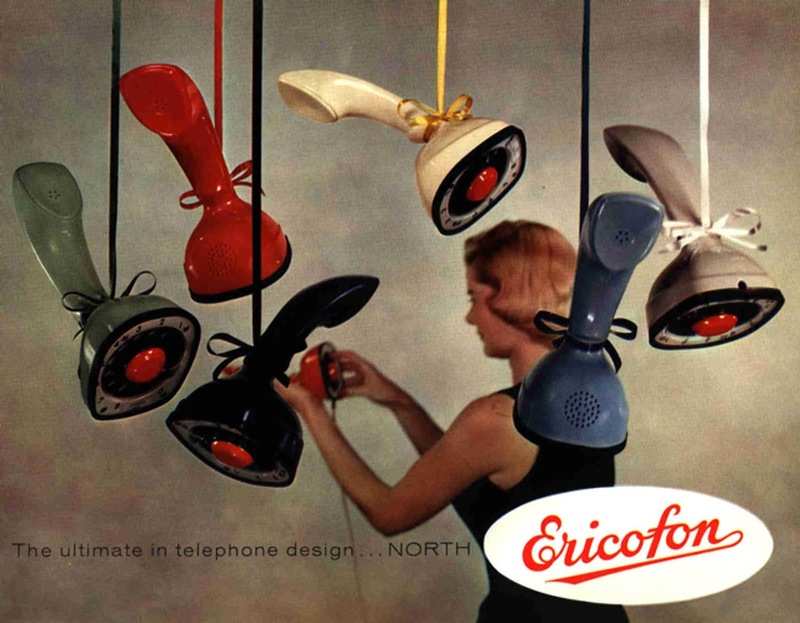 North Electric in Galion, Ohio manufactured the Ericofon for the North American independent market. 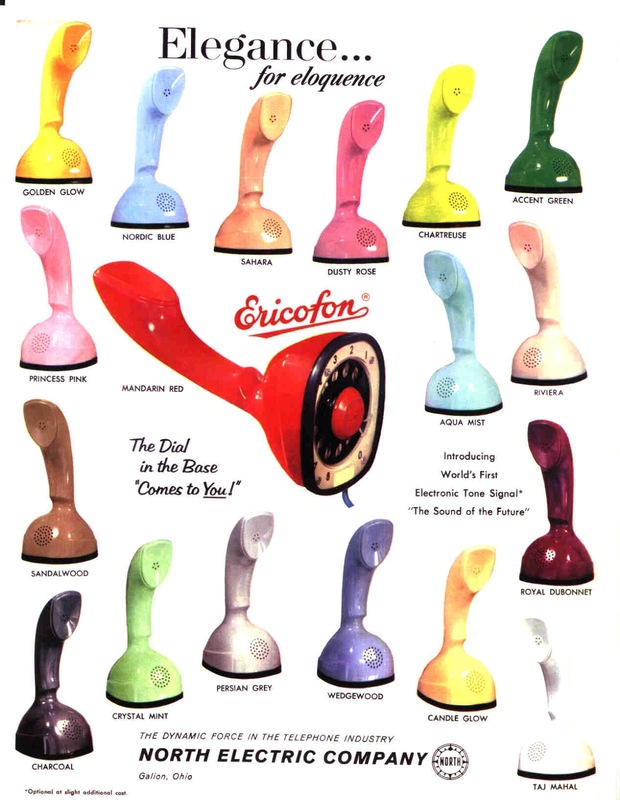 When it was introduced on the U.S. market, the Ericofon was available in 18 colors, but after transfer of production to North Electric, the number of colors was reduced to eight. 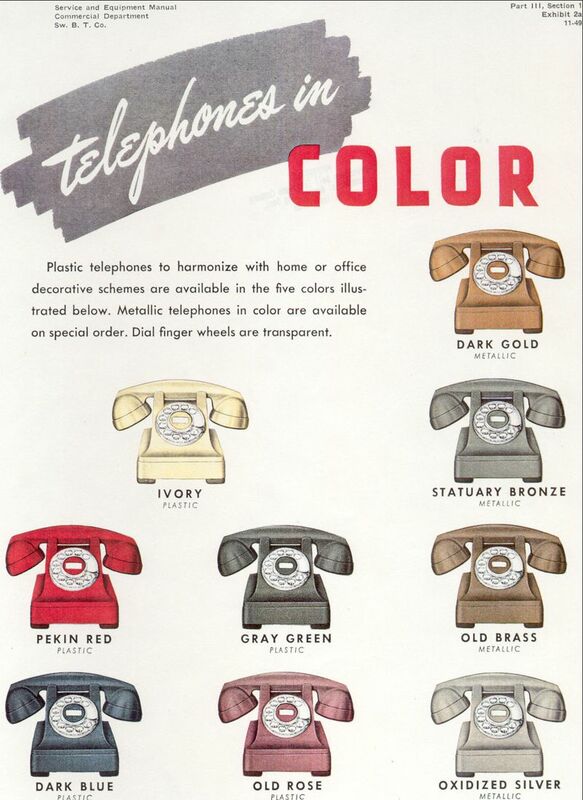 A small number of phones with clear and metallic finishes were produced for special promotions. The most popular and widely produced colors were bright red and bright white. Other colors included various pastel shades of blue, green, and pink. The phone was never produced in black.